President-elect Halimah Yacob has broken glass ceilings more than once. Follow her journey from an impoverished childhood to becoming Singapore's first woman president. 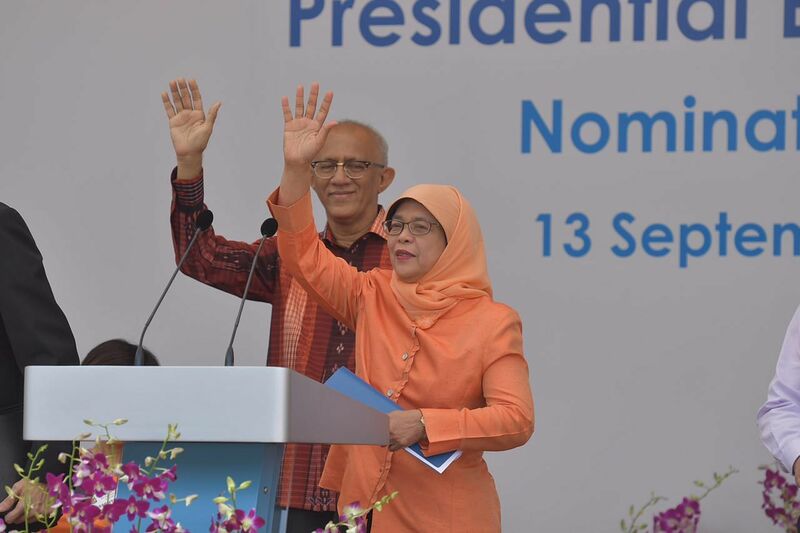 Madam Halimah Yacob was declared president-elect on Wednesday (Sept 13) after filing her nomination papers. Addressing the crowd, she said she was not a reserved president and pledged to do her best to serve Singaporeans. SINGAPORE - Madam Halimah Yacob on Wednesday (Sept 13) pledged to be a president for every Singaporean, after she was declared president-elect. Addressing her supporters, she acknowledged that some in the community have doubts about the election, which is reserved for Malay candidates. "Although this is a reserved election, I am not a reserved president," she said, adding that she will work with and represent everyone. The former Speaker of Parliament was elected president without a contest, as she was the only candidate who qualified to stand. 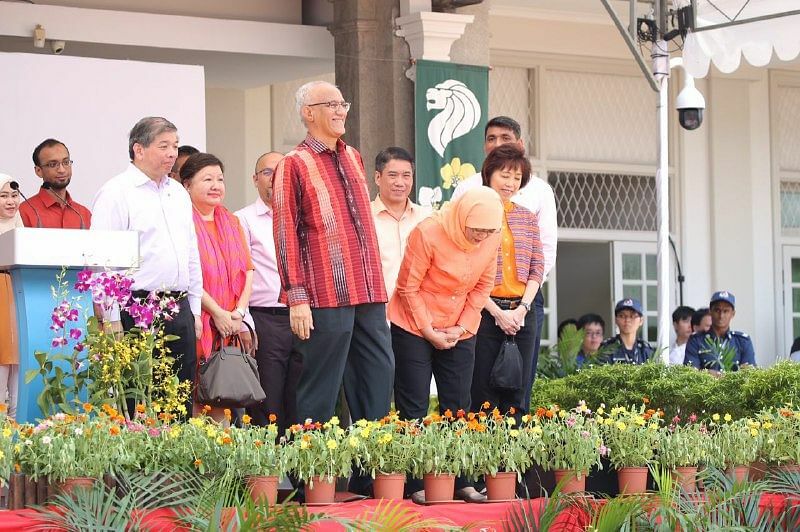 Madam Halimah said this did not diminish her desire to serve: "My resolve to work hard, tirelessly and with great sincerity is even greater now." When asked about the unhappiness in some quarters over the election, she told reporters: "Whether there is an election or no election, my promise is to really serve everyone. I will serve with great vigour, with a lot of hard work, with the same passion and commitment as the last four decades." She becomes the Republic's second Malay president - a proud moment that shows multiracialism really works in Singapore as everyone has a chance to reach the presidency, she said in her speech. "This is not just good for now, but also good for generations to come because it shows very positively how Singaporeans practise multiracialism," she added. She also noted, to loud cheers, that she is Singapore's first female president. "Every woman can aspire to the highest office of the land, if you have the courage, the determination and the will to work hard," she said. Flanked by her husband Mohamed Abdullah Alhabshee, 63, and proposer Teo Siong Seng, she thanked the hundreds of supporters who turned up at the People's Association Headquarters in Jalan Besar. She also thanked all Singaporeans for their support, encouragement and good wishes. Concluding her speech, she urged Singaporeans to come together to confront the challenges facing the nation. "I ask you now, dear Singaporeans, that the election is over, to stand together so we can focus on our core priorities to ensure that Singapore remains a great home for everyone." Singapore has come a long way since it became independent in 1965, and the best is yet to come , she said. But this can only be achieved if people work together, she added. "I ask that you focus on the similarities we have, and not on our differences," she said, stressing that the country has to stay united. Reiterating her campaign slogan, she said: "I look forward to working very closely with you and I believe we can do good together."